Introduction to Gas Lasers: Population Inversion Mechanisms focuses on important processes in gas discharge lasers and basic atomic collision processes that operate in a gas laser. 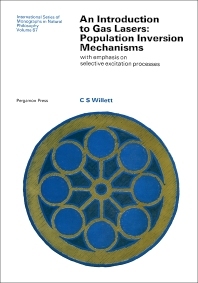 Organized into six chapters, this book first discusses the historical development and basic principles of gas lasers. Subsequent chapters describe the selective excitation processes in gas discharges and the specific neutral, ionized and molecular laser systems. This book will be a valuable reference on the behavior of gas-discharge lasers to anyone already in the field.